“What’s the best travel camera in 2018?” It’s one of the most frequent questions we receive from readers. The advent of digital technology (and smartphones) has increased the interest in and the importance of photography to document one’s travels. We’re constantly bombarded with questions – from the best waterproof camera to the overall best camera for travel – so we decided to write one long article and share our expertise. For background, we have always had an interest in photography, but the more we travel, the more that interest has strengthened. Like most people, we started out with one of the very basic travel cameras: a point-and-shot Kodak Easyshare. Since then, travel cameras have evolved, our skill has increased and we’ve sought out the best travel camera. Here are our thoughts. We’re going to share the secret of the best travel camera now. The secret is, there is no secret. The best camera is the one that works for you. A lot of photographers get wrapped up in brand loyalty (Nikon vs. Canon) or the absolute best lens configuration. All of that gear-head talk misses the point: photography is meant to be fun. Unless you intend to be a semi-professional photographer or even a professional photographer, most cameras on the market have features you will never need and will never use. When selecting the best vacation camera for you, first think about how you will use it. Then figure out which camera fills those needs. Just like cars, travel cameras have many different market segments. Some of the names can be quite confusing. We’ve tried to simplify the names and marketing terminology to help you focus on the best camera for your needs. The different types of cameras are: point and shoot, digital SLR (or DSLR), mirrorless and action camera. We’ll lay out the strengths and weaknesses of each of the travel cameras below. When selecting a great travel camera, there are a number of product features to consider. Many of these can be quite technical, but these are the main things you need to decide before making your selection. If you are using your camera for travel photography, you want something that is small, lightweight, and is streamlined. Ideally, you want something you can slip into a small bag and doesn’t require a whole harness or giant bag to carry. Nearly all of the top travel cameras these days shoot video in addition to photos. You should definitely get a camera that can shoot both photos and video. Many cameras still shoot “high definition” in the lower quality 1080 pixels. If you’re buying a camer, consider one that has 4k capabilities, since that is the direction that social media is moving in. When it comes to cameras, there are two main pieces: the body and the lens. The body is where the image is captured, while the lens is the mechanism for registering the image. In a point and shoot camera, both happen inside the camera. But in larger DSLR cameras, as well as in the best mirrorless camera for travel, you’ll have to deal with interchangeable lenses. Is this something you want to deal with? All digital cameras come with a megapixel rating. What is that? The megapixel is the graphic resolution rating on the camera. The higher the megapixel means the more detail you can capture with distortion. Higher megapixels allow you to edit, crop or otherwise manipulate the image (whether that is with sophisticated software or just for social media). Many people looking for a vacation camera or are searching out the best camera for traveling might look at a waterproof camera. These cameras are resistant to water (usually to a depth of 50 feet or so) and also resist dust. 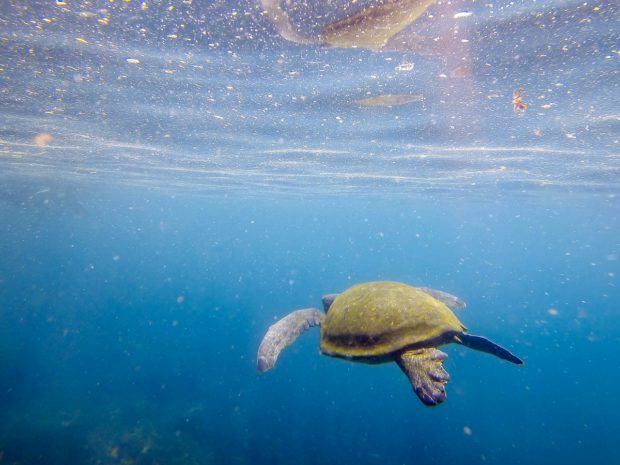 Waterproof cameras often are the best camera for trips, particularly if you are going to the beach, going swimming or snorkeling. If you are looking for simple, the smartphone camera you already have is the simplest of all. It’s built in, compact, and is always with you. No matter where you go, you have the smartphone with you. These basic smartphone cameras are best for capturing snapshots or candid moments, while requiring no additional investment. As a benefit, these smartphone camera travel photos can be instantly uploaded to social media or shared with friends. However, while these are smartphone photos are great, at some point you want to upgrade into a good traveling camera and begin taking better travel photos. Point and shoot cameras go under the name of “compact digital cameras.” They come in two different flavors: basic (cheaper) and advanced (more expensive). If you are just started out in the world of travel photography, this is where you should be looking. These “compact digital cameras” are…compact. That means, they are highly portable in both size and weight. You can slip them into your purse or backpack while you are out traveling for the day. Many of the point and shoot cameras come with some of the same features that are found in fancier DSLRs, but without the extraneous bells and whistles. 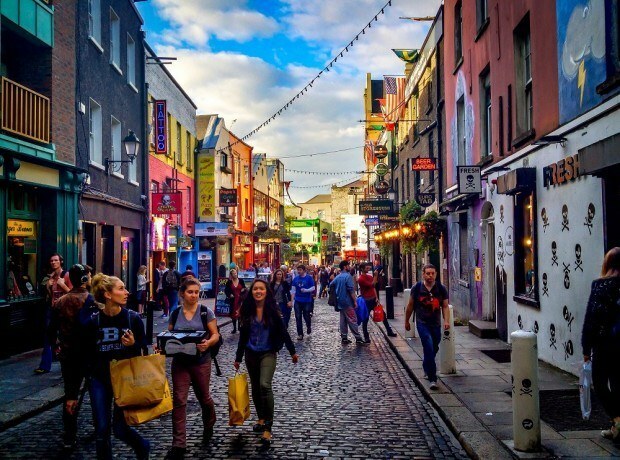 If your primary interest in travel photography is taking pictures of the family or buildings in Europe, a point and shoot will suit your needs. The Sony Cyber-shot RX100 IV product line offers amazing versatility in a pocket-sized camera. 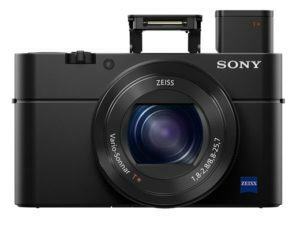 We recommend this camera because we personally own and use the predecessor camera: the Sony Cyber-shot RX100 III. You can do it all with the Cyber-shot RX100: low-light, shooting in RAW and video. Another bonus to these is the ability to get an underwater housing and use it underwater (more on that later). 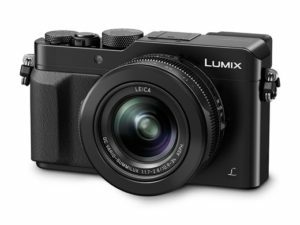 The Panasonic LUMIX DMC-ZS100 is another solid compact, pocket-sized travel camera. This gem offers strong versatility in a low price. The Panasonic offers the same features of more expensive cameras. 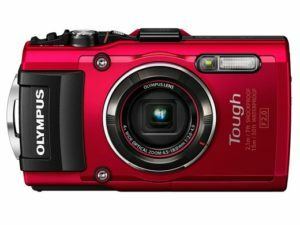 The Olympus Tough product line is an excellent choice for a simple point-and-shoot vacation camera. Some our shipmates in the Galapagos Islands had the Olympus Tough TG-5 this camera and we played around with it, and we were really impressed by it. It’s lightweight, ultra-compact and totally waterproof. A Digital SLR is a single-lens reflex camera (it uses a mirror to reflect the image your camera sees up to the viewfinder for you to see it). These are the bulky, black-bodied cameras with interchangeable lenses. 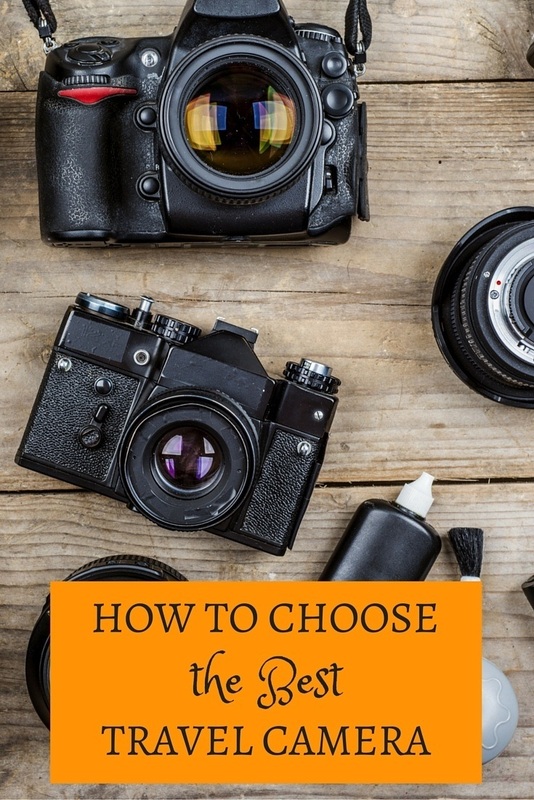 Many people refer to them simply as “professional cameras.” While professional photographers use DSLR cameras, the benefits these cameras offer are open to any photographer. While DSLR cameras weigh significantly more than point and shoot cameras, they provide remarkable improvements over simple cameras. These benefits include enhanced zoom, ability to photograph in various light settings, factory pre-sets for aperture/shutter priority, and various lens configurations. 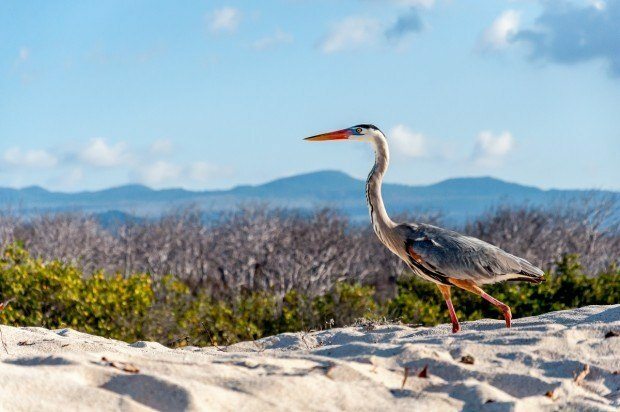 For some travel, particularly wildlife on an African safari or the animals of the Galapagos, a point and shoot just won’t cut it. Often, the big decision is Nikon vs. Canon. This is the Coke or Pepsi debate in the photography community. Truth be told, both offer some differentiation at the really, really high end of DSLR cameras. However, for most photographers who are just looking for good travel cameras, you won’t be able to tell a difference. If we’re asked to recommend, we usually give a slight edge to Nikon because their menus are simpler, they use more obvious terminology and are slightly more intuitive for the non-professional photographer. But you won’t go wrong with either one. The Nikon D5500 is the company’s entry-level DSLR model. As such, it makes a great travel camera, especially when paired with a versatile 18-55mm lens. It offers all the benefits of a DSLR, but at an attractive price-point. 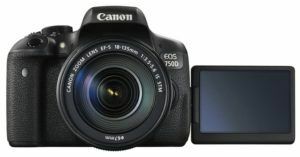 Canon continues its entry-level excellence with the EOS 750D (Rebel T6i). It’s a great DSLR-in-a-box with multiple lens configurations and an ergonomic body. Mirrorless cameras lack the “reflex” optics of a DSLR. What in the world does that even mean? Essentially, mirrorless cameras use digital/electrical technology to project the image you see into the viewfinder, rather than a mirror to project it up to the viewfinder. Why does it matter? Without the mirror, these cameras can cut weight and size, but make a small sacrifice in speed. Just like DSLRs, mirrorless cameras have the potential to change lenses. While there are fewer lenses available for mirrorless cameras, an entry-level photographer looking for a good camera for travel won’t have a problem finding the lens you need. On pricing, a mirrorless camera for travel is comparable with the very high end of the DSLR camera range. This means if you are looking for a basic or entry-level camera, you’ll pay more for a mirrorless than a DSLR. 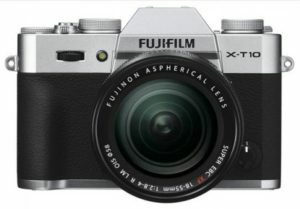 The X-T10 takes Fuji’s industry-leading X-T1 mirrorless camera and brings the features into an entry-level mirrorless camera. It’s a great travel camera. 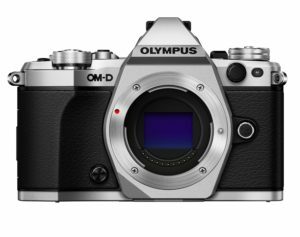 The Olympus OM-D E-M5 Mark II offers a great blend of photography and video in this travel camera. This category goes hand in hand with the best waterproof camera, since that is probably what you’re looking for. Here, you need to ask yourself the question: are you looking to do more video or more photography? There is a definite tradeoff on camera and video functionality in the action camera market. For years, the action camera market has been dominated by GoPro. We have a GoPro Hero 3 and have used it from Eastern Europe to South America. The video is excellent. The photography…not so much. The issue is that the housing is so stiff that as you take the picture, you get a lot of movement, so everything comes out blurry (even in “burst mode”). 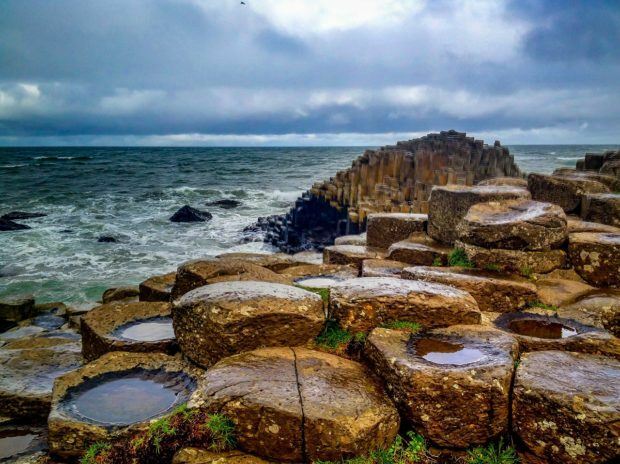 If you are only looking for the best waterproof camera for travel, there are a number of options in the point and shoot market, including the B00UKV5E4Q. For a more dedicated camera for scuba diving, we recommend (and use) the Sony Cyber-shot RX100 inside the Fantasea Underwater Housing. GoPro has set the standard in the action-camera market, and has continued to push the boundaries with the introduction of the Hero 6. The Hero 6 features a rear view display and exceptional video quality. A DSLR. We’ve been using the Nikon D90 with an 18-105 lens for about 8 or 9 years and it’s been a great, highly functional camera. A compact digital camera. We use the Sony Cyber-shot RX100 and adding the Fantasea Underwater Housing if we’re going to be snorkeling or scuba diving. An action camera. 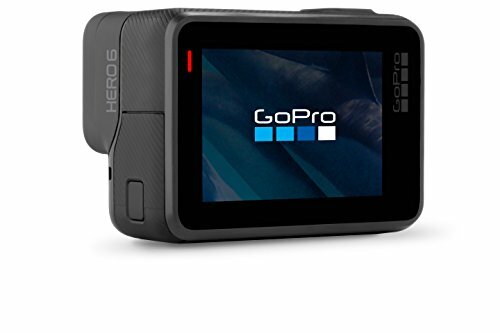 We are using an older version of the GoPro (the Go Pro Hero 3), but will probably be upgrading soon. A tripod. We use the MeFoto Q1 tripod for a lot of our best shots. Note: Some links may be affiliate links, which means Travel Addicts may earn a few pennies – all at no additional cost to you. Our recommendations are unbiased and are based on our own personal usage and research. 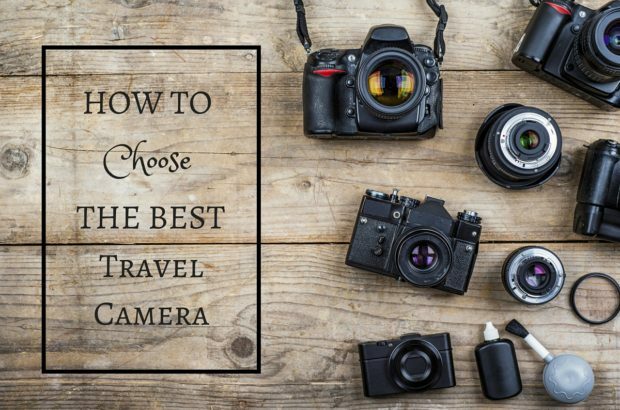 What do you think about How to Select the Best Travel Camera in 2019? Awesome list thanks so much. I am looking for a new little point and shoot. Will check your recommendations out. Thanks Charlie. For us, the no RAW would be a deal breaker, but for the novice travel photographer, sounds like another option to check out. Excellent post! That was so helpful. 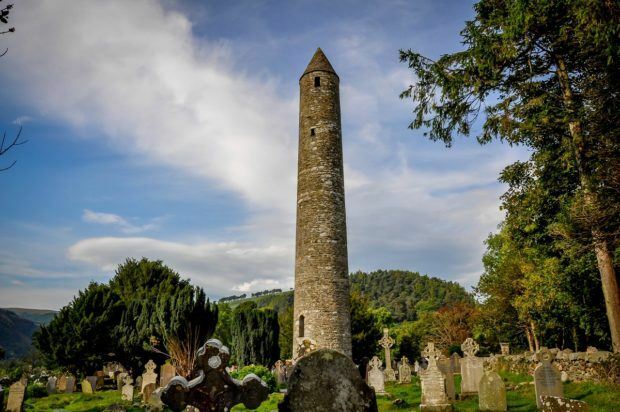 I just may have some of these on my trip next year…. That was so helpful. I use Olympus OM-D E-M5 Mark II DSLR camera for my travel photography. As the camera is quite expensive therefore I generally hire it as the picture quality of this camera is just amazing…. Waiting for your next tips! Cheers!!!! Keep posting!!!! This is so wonderfully comprehensive. Thanks for all the great details… something about camera shopping is so daunting (probably the price paired with the relative fragilityof the device)- helps to have a little direction!